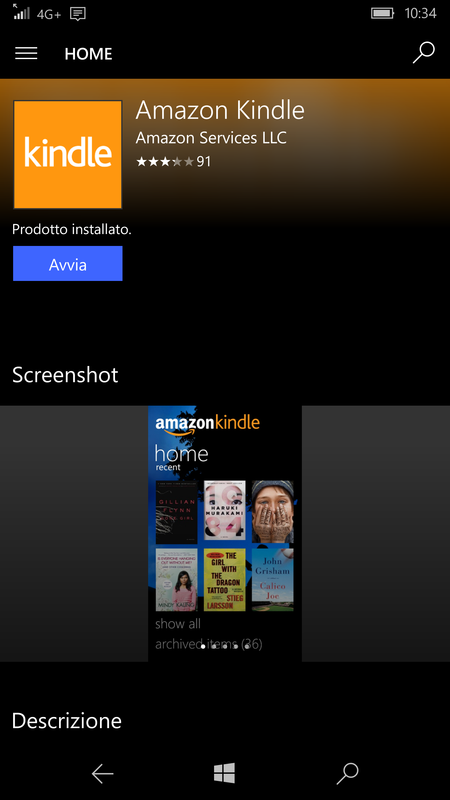 Some days ago I installed the Amazon Kindle app available in the Windows Store on my Windows 10 Mobile smartphone device. Trying to log in, it was always displayed thet my credential were wrong, even though I was sure they were correctly inserted. 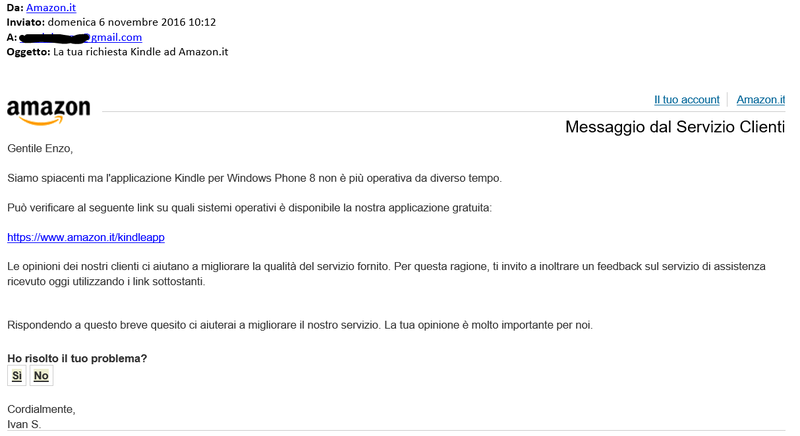 So I contacted the quite always efficient Amazon client service asking for help and here it is what they answered (see screenshot in Italian): “Sorry but the Kindle app for Windows 8 is no more available ...” and they suggested me to see the https://www.amazon.it/kindleapp page to see the available Amazon apps supported for other operating systems. 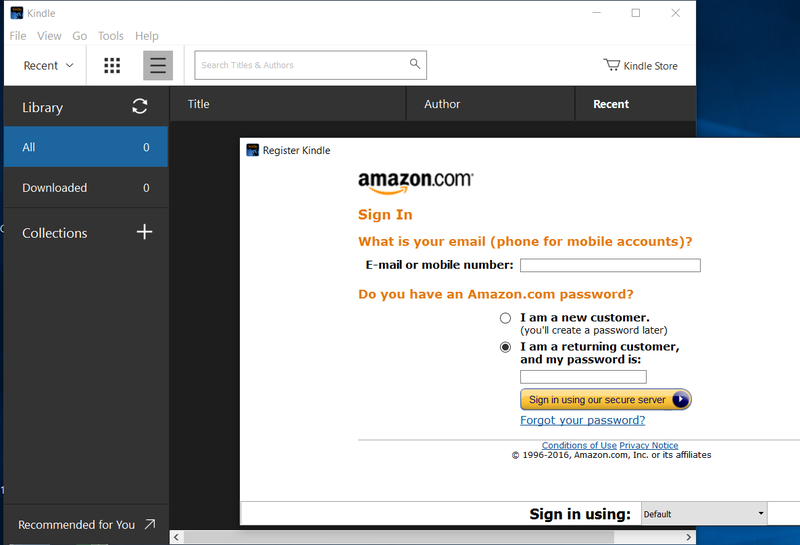 … and even going in the Windows Store you can still find the app called Amazon Kindle (from Amazon Services LLC) that I installed! It was simply due to security reasons: in fact, during my authentication, Amazon sent me an email, asking to use a provided temporary password for my next access with my new device!!! I did not noticed the arrival of that email before … and the alert message displayed by the app is surely not one that can help to find the solution!!! … and neither the customer service answer!!! So, if also you are having problems in inserting your credentials while authenticating on a Kindle app, please have a look to the email address you used in your Amazon registration, looking for some possible emails from them, providing the temporary password to be used!! 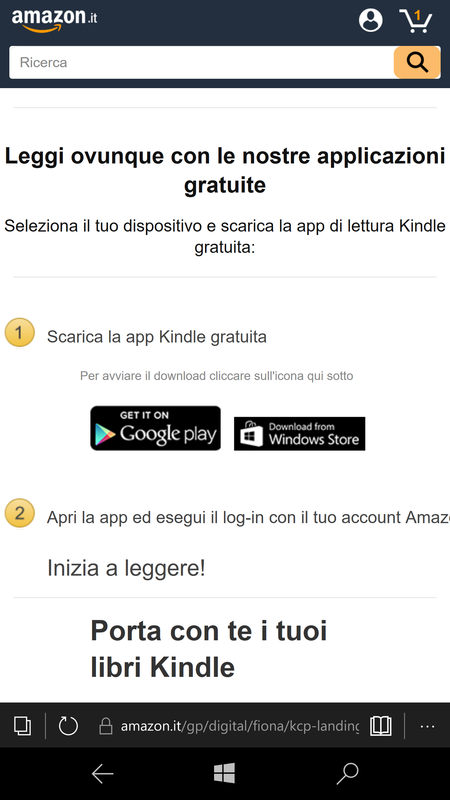 So, during the authentication procedure requested by the Amazon Kindle app, using only for that time the temporary password, provided in that email, I finally succeeded to have it work properly! 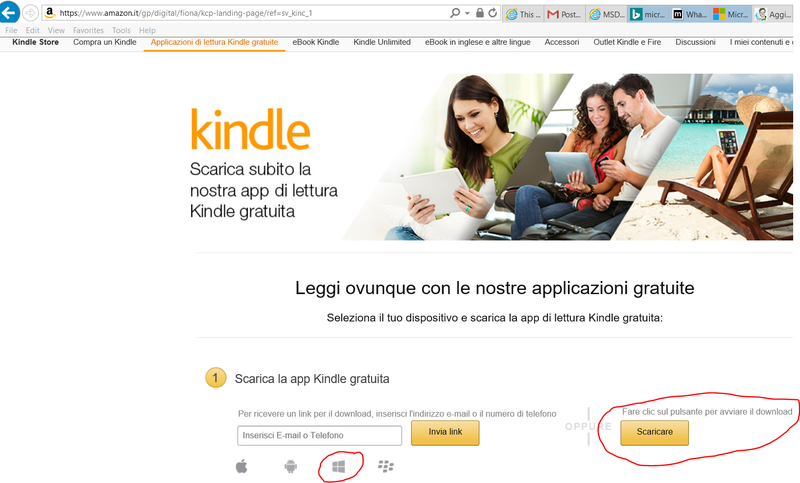 … even a Kindle e-book device is more oriented to read a book, very often you have only your smartphone and it can be a useful substitute (especially if it has a large and high resolution screen as Lumia 950 XL has!). … and did not encountered any credential insertion problem (maybe because on my browser I was already an Amazon user authenticated client?). Questa voce è stata pubblicata in Just for fun!, Review e test, Windows, Windows Phone/Mobile. Contrassegna il permalink.